Many new writers and authors start out using a word processor such as Microsoft Word, iA Writer or Google Docs. But word processors are not designed to help you with a creative writing project. Word processing, spreadsheets, email managers and a desktop publisher are for commerce and administration and are not the best tools at all for creative thinkers and the writing process. You want to write a book or a novel, not a letter or a report so forget all about using Microsoft Office. When you decide to write a book, you would be much better advised to look in an app store for writing software that is more distraction-free (yes, no social media!) and explicitly designed for writing a book. 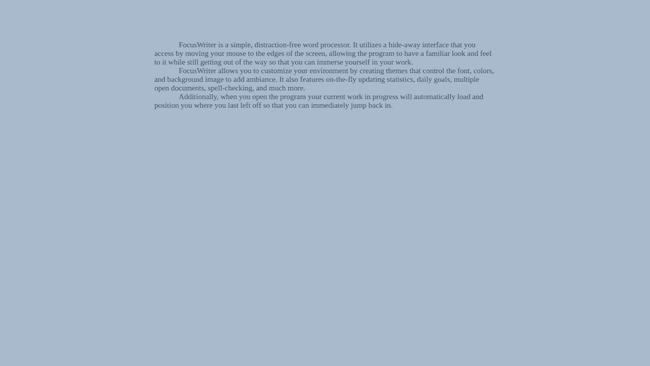 There are a lot of book writing software packages available for writers. However, some such as Ulysses, Vellum and even Word can all cost you a lot of money. If you are starting out, there are many free alternatives and editing software that you can try. There is always a learning curve when you start using new software programs. So it is much better if you can spend your time and not your money when you are learning how to use a new program. Luckily though, most of the applications in this post are easy to learn how to use and set up for writing your new book. The main criteria for good book writing software are that you can write chapter by chapter or even scene by scene and that you can keep notes about your characters, events and if possible mind maps and record a timeline. An auto save function is also desirable. Another feature that is important to many writers is to have a distraction-free mode or at least reduce the clutter on your screen while you write in a text editor. Sometimes, a plain text editor is all you need. Books are long-form writing, so working on one huge, long lump of text in one document is not only cumbersome but also prone to file and save errors. It really is an unsafe way to write a book because the chances of something going wrong technically are very high. Especially with Word. Another consideration is that a good program for writing a book is rarely suitable or available as a mobile Android or an iPhone or iPad iOS app. When you try the software and online book writing apps below and have started writing, you will immediately notice the difference and understand why writing a book needs a totally different approach. To get you started, here is a selection of the very best free web-based and open source book writing apps, software and tools. I have to start with yWriter because it was developed by a writer, Simon Haynes. He explains the reason for going to all the trouble to create this software, and it should resonate with many writers. An excellent explanation as to why word processors are not designed for writing a book. The key feature of yWriter is that it breaks book writing into chapters and scenes. When writing a book, this is a must-have feature. It also comes with the ability to build characters and locations. FocusWriter has one key attribute. It is about total distraction-free writing. While it has many options you need to set things up for your writing your book, it has a hide-away interface that lets you concentrate on the one big thing you want to do. Write. Forget about menus, toolbars, drag and drop or copy and paste with this app. There is nothing between you and your words. 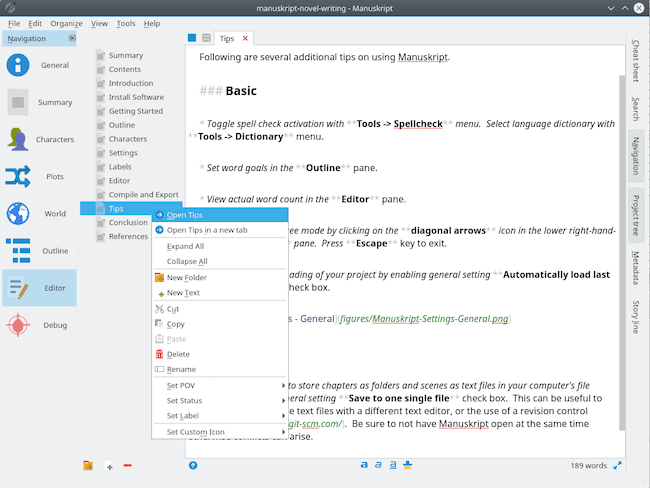 It is very user-friendly, free and available for Linux, Windows, and Mac OS X.
Manuskript is a feature-rich book writing tool. It has an outliner, word count, distraction-free mode and a novel assistant to help you develop characters using the snowflake method. 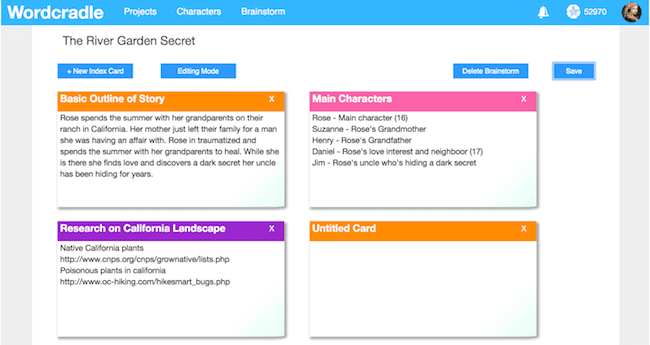 You can also keep track with notes about all your characters, the plot, events and places in your story which could certainly help improve your writing. Well worth a try for any writer I believe. Sigil is open-source, free software that is well regarded for producing e-books in epub format. In this respect, it is similar to, if not even better than Calibre. It has multiple views including book view, code view and preview as well as a WYSIWYG editor. It also has a Table of Contents generator with multi-level heading support. There is a metadata editor as well as spell check with default and user dictionaries. It also supports the import of EPUB and HTML files, images, and style sheets. Wordcradle is a free online novel writing tool that really has a lot going for it. You can set up projects with word count goals and how much time you want to allocate to your writing aims. The character cards allow you to construct a profile for each one and they are set in an attractive table layout. Related reading: Is The Free Hemingway Editor The Right Choice For You? Bibisco is open source software specially designed for writing a novel. It has all the elements you will need including character development and tracking, chapter and scene organisation and note tracking. This short video gives you a sneak preview. 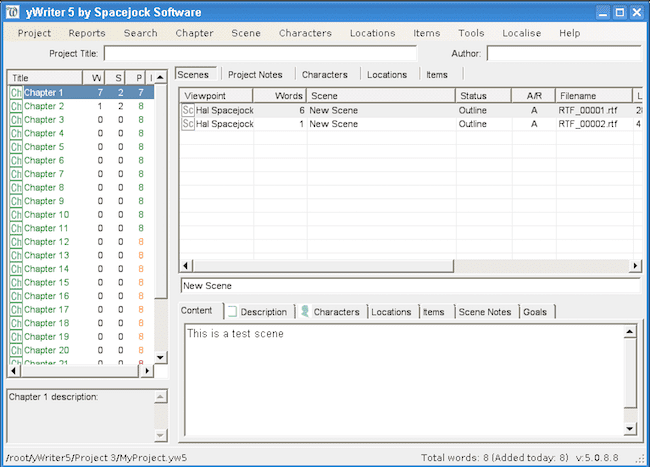 Everything you need to write a novel in one free software package. Bibisco is available for Mac, Windows and Linux. Although it is not a free writing tool, I have to include Scrivener in this list. It is recognised as one of the best writing tools for authors and screenwriters. With an outliner, cork board, side by side viewing, word count targets and a full-screen editor along with print, export and publishing tools. It has everything a writer could ever need. However, there is a 30 day free trial period offered by Scrivener. But it is counted by days that you use the software. So if you use it every second day, your trial period will last for 60 days. 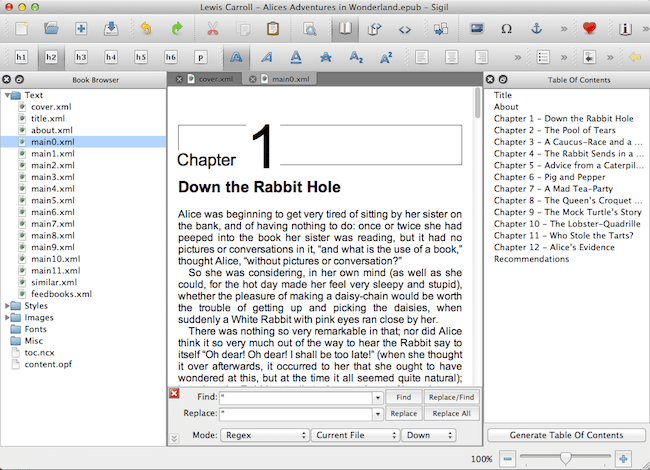 Scrivener is available for download for both Windows and Mac. To access your free trial, scroll down to the bottom of the product page. In the footer, you will see the Download link. You can then select either Windows or Mac. Most tools can highlight common grammar and spelling mistakes and offer quick and easy corrections to help improve your writing. There are a lot of free and premium grammar checking writing tools available online, and most can offer you basic help. But to get really useful, in-depth analysis of your grammar and writing style, you will need to consider using an editing tool that is designed especially for authors. ProWritingAid is one of the best choices for authors because you need an online writing tool that can analyse very long documents. It is also the only grammar checker that is compatible with Scrivener. The free version has plenty to offer, but the very reasonably priced premium version allows you to dig deeper into your writing with a host of reports, analytics and suggestions on how you can improve your manuscript. From the choices of the pieces of software above, you’ll find at least one of these free book writing apps will help you write better and be more organised no matter what your writing style. Combined with a reliable online grammar checker to keep your use of adverbs, passive voice and repeated words under control, you are surely going to be writing better and writing every day. So forget about office applications that belong to cubicle warriors, and start learning how to write a book or even a short story with tools that are specifically designed for the purpose of creative writing. As I mentioned at the beginning of this article, there are many fine paid apps which come highly recommended but are very often more suited to professional writers, content writers and writing a blog post. However, there is no need to make a big investment in book writing software if you are just getting started on moving away from Word and Google Docs. Try a few of these free writing apps and see if they work for you and if they can help you write a better book or novel. More apps: We have another article listing 38 free and productive writing apps for writers and bloggers that may interest you. Take a look. Brilliant. I had no idea there was free software for creative writing. now I just have to choose between them. I like the idea of Wordcradle with the index cards. That would be most useful, I think. I also like the idea of Manuskript. Surely, the same risk applies, whichever programme you use? Do any of these programmes save your work independently, or would we have to do it? This was an excellent post, as it’s always good to see the new products on the market and get some evaluation of them. And as always, it confirms to me that writing in ordinary wordprocessing with judicious use of styles, page breaks, and grammar checker set to casual, works just fine for me. Thank goodness we are all different! Just getting started. Thank you for writing this article. Thanks for the information, I am very motivated to get started on my book project!.